When celebration season is in full swing, you’ll want to be prepared. Whether you’re planning a wedding, preparing a shower, or hosting a party, you’re going to want your dessert to stand out. With the following 10 cake shops, you’re sure to find the sweet ending to your perfect event! “You no longer have to settle for just another cake.” That’s what they say at Casey’s Cakes, where they strive to give you the perfect customized confection you’re seeking! Casey’s will craft up a breathtakingly beautiful wedding cake for your special day, an anniversary cake for a celebration you won’t forget, or a themed birthday cake that will make the kids go crazy. On Chantel’s Bakery’s website, you can customize the cake of your dreams. Choose from flavors such as chocolate, lemon, and marble, then select a cake shape, what you’d like to have written on the cake, and special instructions. They’ll make you exactly what you want. 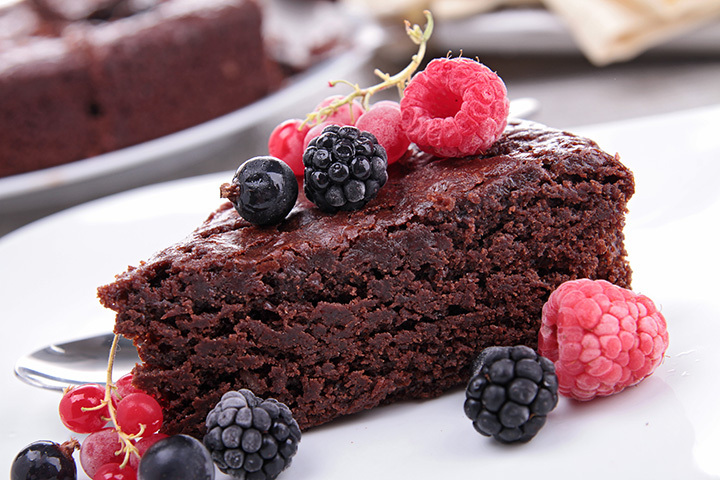 At Chantel’s, find angel food cakes, German chocolate cakes, cannoli cakes, and so much more. They also have a selection of diabetic cakes, gluten-free cakes, and allergy-free cakes! Simply Desserts in Gainesville, Virginia, is another frequent award winner, having been recognized five times by the Knot for the Best of Weddings category, among other accolades. According to their website, “Simply Desserts specializes in desserts from prize winning cheesecakes, wedding cakes, groom’s cakes, birthday cakes, anniversary cakes, cupcakes, cake pops, cookies, pies and more.” Ten percent of all tips goes to assist K9 Assistance dogs. Each cake is made to order and individualized for your special occasion. For over 25 years, Wanda’s Cakes has delivered bakery goodness to the fine folks of Centreville, Virginia. Wedding Wire, the Knot, and others have recognized Wanda’s Cakes for their excellence. All Wanda cakes are unique and personalized. Services include consultation, custom design, a variety of cake flavors, delivery, complimentary anniversary cake, and groom’s cakes. Specialty cakes incorporating photos, logos, or drawings are easily done, too. Pricing varies on size, complexity, and flavor, so make sure to check their website and contact them for a free quote today. Eloise’s Pastries in Warrenton, Virginia, aims to foster a “stress-free cake decision process” for you during your special occasion. Stop by for a custom, complimentary tasting before starting the design process. Cakes include gluten-free and dairy free options. Take their wedding cake design quiz to help determine your perfect cake. The full bakery includes layer cakes, cupcakes, cake pops, cookies, bars, shortbreads, pies, scones, and seasonal treats. Fluffy Thoughts Cake has been completed your special occasions since 2000. Classic cake combinations include chocolate with vanilla or chocolate buttercream, red velvet with cream cheese, and more. Specialty favorites include the Candy Bar Crunch—marble cake filled with homemade salted caramel, milk chocolate or dark chocolate ganache, vanilla Italian meringue buttercream and Fluffy’s crispy chocolate crunchies. Maggie Austin Cake in Alexandria, Virginia, offers some of the most elegant cakes in the entire commonwealth. Ms. Austin has provided cakes for the White House, Hollywood parties, and royal weddings. According to her website, “Maggie Austin designs display symmetry, elegance, and sophistication with the subtle yet unmistakable mark of haute couture.” Her cakes have to be seen to be believed, so make sure to check out her online portfolio. Sugar Craft Cakery in Portsmouth, Virginia, is a flexible bakery, happy to provide sugary treats for your party of 12 or your wedding of 400. Choose from various wedding cake designs, specialty cake flavors, cupcakes, cake pops, party and sheet cakes, cookies, and more. Delivery is included with every order. For an affordable option in Hampton Roads, Sugar Craft Cakery takes the cake. Amphora Bakery in Herndon and Vienna, Virginia, offers seasonal favorites, wedding cakes, every-day cakes, pies, cookies, cupcakes, dessert pops, pastries, and miscellaneous sweets, as well as a featured cake of the month. Wedding cake options include tradition cakes, cupcakes, cookies, groom cakes, and cakes for showers. Amphora prides themselves on offering European-style pastries. Market Salamander in Middleburg, Virginia, is a Certificate of Excellence award-winner from TripAdvisor. Salamander is a full-service restaurant, offering seasonal and fresh-made sandwiches in a patio setting, as well as custom cakes and desserts for all occasions. Jason Reaves, the award-winning executive pastry chef, bakes each cake custom to your vision. Sign up for an interview with Chef Reaves and be amazed at his ability to turn your ideas into delicious reality. View more Virginia Bakeries and Pastry Shops.